How would you like to be a Hump Night intern and take my Monday night performance class for free? Right now I’m looking for someone to help with box office, tech and setup on Wednesday nights at Hump Night. 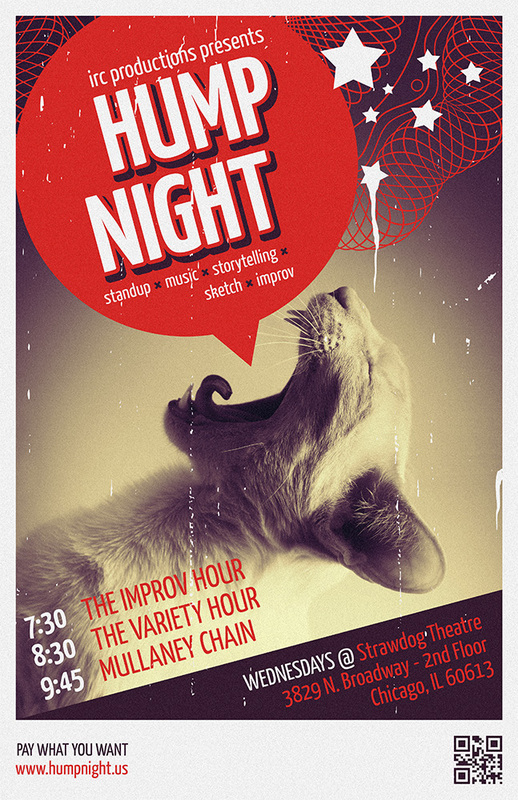 In return for working the show, you could take my Monday night improv class for free. If you are interested, please send me an email (ircmullaney@gmail.com) with any relavant tech or box office experience (not required). In addition, fill out the application for the class. Read more about Hump Night. Read more about my Monday Night Improv Performance Class which starts on February 4th.